Where and in what form is AI used in the contact centre environment? When it comes to improving customer experience, we are in the midst of a true revolution. New technologies hold the key to unlocking customised engagement. Businesses are looking to technology such as artificial intelligence, robotics and chatbots to help them achieve an improved, personalised customer experience. This will enable them to analyse data to identify customer feedback, preferences and behaviours. This will allow businesses to meet a new generation’s expectations and enable contextual customer experience to differentiate products and services. Research from Gartner predicts that AI bots will power 85 percent of all customer service interactions by the year 2020. However, implementing this technology is just the first step in achieving market success. Is AI affordable for any company that provides customer service? Having the right need for AI within a business is just as important as whether a business can afford it. We have all heard it before – but ‘one size does not fit all’ when it comes to technology. The impacts of market influence, geographical reach, customer demographics and requirements, means that no business is the same. Companies that make the most of a customer experience strategy that is augmented by AI powered chatbots need to identify and then track their metrics closely in order to make the most of them. For example, metrics play a huge part in customer engagement; satisfaction rates; confusion triggers; purchasing conversions and cost efficiencies. By doing this, it not only allows them to justify the investment, but also highlight important market/spending trends and find areas where virtual agent performance could be improved. What processes and requirements in contact centres can AI solutions help with? The point of AI-augmented customer experience is to help customers more quickly find answers to their questions and address their needs, thus allowing organisations to offer a truly personalised experience– this customer engagement is key. Tracking engagement Key Performance Indicators (KPIs) can help businesses assess how customers are interacting with chatbots—and ultimately the success of those interactions. Businesses need to determine what successful engagement means to their company to craft a meaningful metric. For example, instead of the sheer number of chatbot interactions per conversation, measuring engagement could also entail tracking clicks on links to resources provided by the AI agent, or monitoring whether customer issues are resolved without human involvement. Sometimes KPIs can be misleading. For example, longer interaction times with a virtual agent could mean that customers are highly engaged – or conversely that the process is too complex, and it is taking too long for them to get what they need. This is where satisfaction rates come in. Customers should be given the opportunity to rate their experience with online chatbots. A satisfaction survey can be as simple as a star rating, or entail more involved questions, depending on the level of feedback a company requires. Many businesses also offer a small incentive to customers, such as a gift card or discount, for providing feedback as a good-will gesture. What are the pitfalls of chatbots in the contact centre experience? The big issue with many of today’s chatbots is that communicating with them can be stilted. Just like using a search engine, you need to use the right phrase or combination of words to get the answer you’re after. Despite efforts to understand natural language queries, they often respond with stiff, standard phrases. That means it might be easy for a customer to get in contact with a bot, but it might not be a quick and simple process to get the information they want. In an ideal world, a chatbot would provide the right response to customers every time. However, the more likely scenario is that a chatbot may occasionally get confused by what customers are asking or requesting – often this is down to language or dialect misunderstandings. If the virtual agent can’t figure it out, then the inquiry will likely be routed to a real-life customer service professional. It is important to be aware of these confusion triggers and monitor them in order to identify potential problems. Tracking when and how often chatbots respond with “I don’t know” or “I don’t understand” can help a business improve the technology to reduce confusion; knowing where and when these triggers are initiated. That, in turn, saves staff time and creates a better interaction overall. 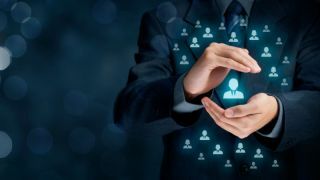 How important is the human touch in an AI-powered contact centre? The best customer interactions often involve an emotional connection. They’re the ones where a service assistant has shown real empathy for what the customer wants to achieve. And they’re the ones that result in the customer trusting and going back to that company. Customers value the human touch. Many tech leaders are looking to give their chatbots more character in order to retain engagement and turn an enquiry into a sale. In many cases, they’re doing that through comedy. Amazon Echo assistant Alexa tells jokes. Facebook’s weather bot, Poncho, sends amusing GIFs from old TV shows. And Google Home is hiring comedy writers from Pixar and The Onion to work on its latest bot dialogue. When is the use of AI beneficial and when is it not? It’s vital to get the customer equation right for your specific business and not get side tracked by AI hype. Virtual agents are becoming part of the customer experience equation. Creating a plan for analysing, measuring and improving a chatbot’s experience can verify that a business organisation is making the most of this technology. However just like every other big new thing in CX, chatbots aren’t a golden ticket to customer satisfaction and sales. How can contact centre managers find the right AI solution and how should it be implemented? AI can act as a catalyst for change, and with the current focus on AI and chatbots, organisations can use this to pause and work out how they evolve their customer experience. AI and chatbots may be part of the answer but shouldn’t be seen as a solution looking for a problem. The key to success in using AI and chatbots is integrating them into a multi-channel, adaptive, customer experience strategy. Businesses still need to work out how it fits with other channels—including other chatbots. For example - When is a chatbot the best solution, and when is the human touch essential? It can be beneficial to align the business with an experienced technology partner. They can address the specific business needs and customer experience challenges and obtain the right transformation path that will ultimately lead to the most effective use of new technologies. Get it right and chatbots could drive real improvements in CX, increase sales and provide a platform for innovative new products.